For a one time $25 fee, your listing can include a photo , image or logo & a description of your services (up to 950 characters, including spaces). What does a logo added to my listing look like? 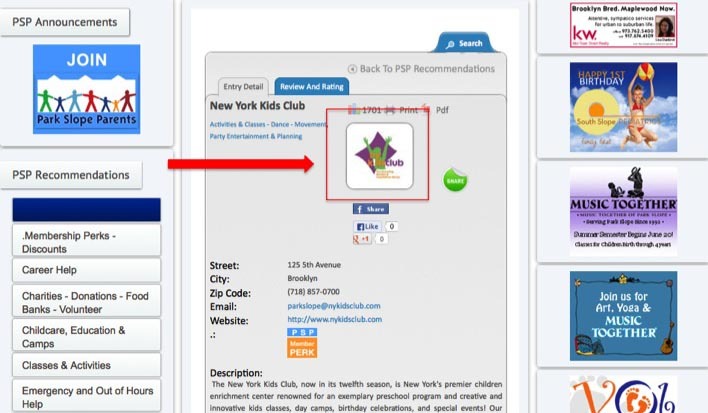 See below, or click HERE to see an example of what your Logo will look like on your listings page. 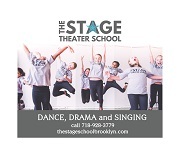 Park Slope Parents reserves the right to terminate this program at any time for any reason. Your perk may be removed if there are no reviews of your business in the 3 years you've had a perk with us. 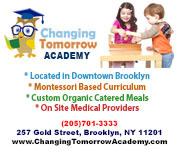 You may terminate your participation in this agreement by allowing 30 days for us to process your termination notice either mailed to Park Slope Parents, 438 12th Street Ph C, Brooklyn, NY 11215 or emailed to .